John MacDomnic graduated from the Guildhall School of Music and Drama in 1989, having studied the trumpet with Gerry Ruddock, Ray Simmons and Crispian Steele-Perkins. 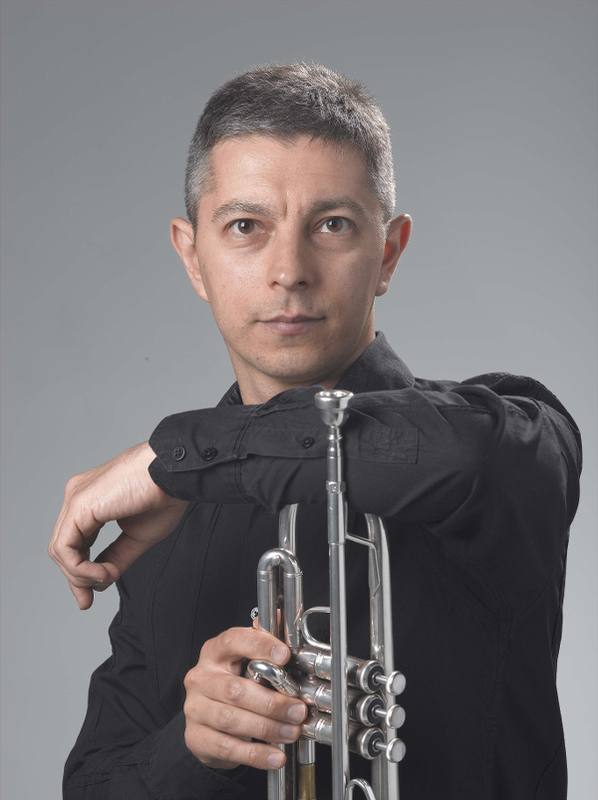 Since then, John has performed as a freelancer with many of the country's leading orchestras, including the London Philharmonic Orchestra, Royal Ballet Sinfonia, English Touring Opera (of which he is currently the principal trumpet), and many other symphony, ballet, opera, chamber and brass groups. As a soloist John has performed in the Royal Albert Hall, Royal Festival Hall, Barbican centre and St Paul's Cathedral, including broadcasts on Classic FM and BBC TV and radio. He has given solo recitals around the country. Teaching plays an important role in any musician's life; this is certainly true for John, who is a peripatetic brass teacher at Harrow School. When not playing the trumpet, John enjoys dancing salsa and eating curry. He lives in Watford with his wife, daughter and 12 trumpets. John also plays in The Barbican Brass Ensemble, Albion Brass Consort and The Locke Brass Consort.